Did you know that you can personalize your browser in more than 1000 different ways? 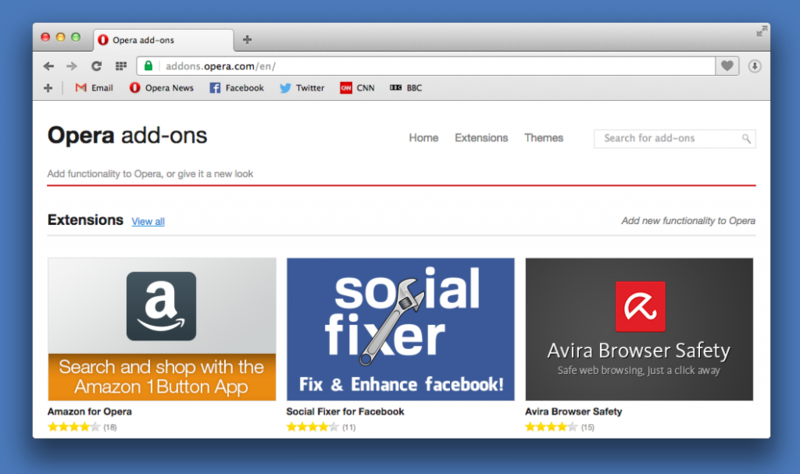 That’s right, we now have more than 1000 extensions especially made for the Opera browser in our extensions catalog! What exactly is an extension? A browser extension is a tiny program (made with web technologies) that extends the functionality of an internet browser. With extensions, users can customize their browser to add new functionality and make it the perfect tool for their everyday online tasks. Gismeteo weather forecast in speed-dial: a Russian-language extension (but the icons speak for themselves) that shows you the weather forecast right on your Speed Dial start page. Translate: adds in-page language translation functionality to any webpage. Modern scroll: boosts scrolling performance in Opera. Page Capture: allows you to make a screenshot of a whole page, a selected part or the visible content of a tab, save it to a file or share it via a URL, quickly and easily. Smart RSS : an RSS reader right in your browser; it also requires RSS Detector. Violentmonkey : provides userscript support for Opera, supporting most scripts for Greasemonkey and Tampermonkey. Tab Close Plus : adds a context menu option to close left tabs, close right tabs, close other tabs, close similar tabs and so on. Classic Images : adds a shortcut key to save images and advanced image options to the context menu. Cryptocat : provides an open, accessible instant-messaging client with a transparent layer of encryption. 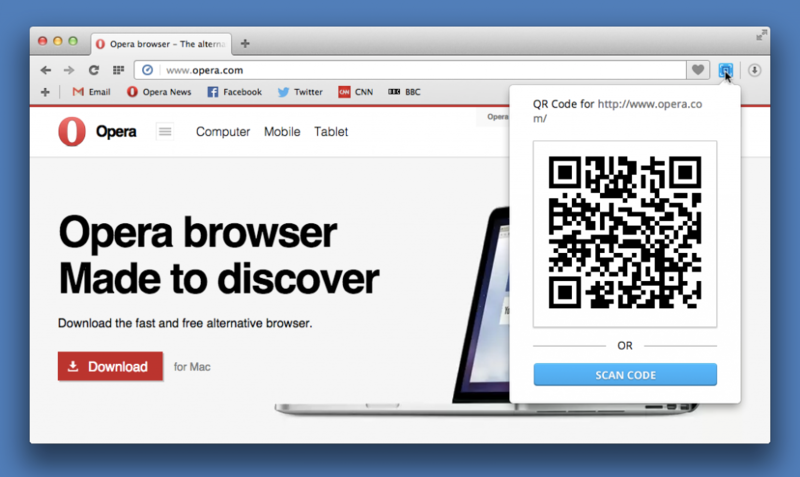 QR Codematic : allows you to easily generate QR codes for any site you visit, even for selected text. At Opera, we take security very seriously. That’s why each of the extensions in our catalog has been vetted by our extension moderators to ensure that it does what it says it will do and no more. If a new version of an extension requires more permissions, you’re prompted to review it and grant permission. Web developers who want to see the code of an extension before installing it can also do so – using an extension! Extension source viewer adds a button to right of the address bar when an extension file has been detected and allows you to view source or download an extension as a ZIP file, without actually installing it. Whether you want to fix up Facebook, set site-specific preferences, make sure that you automatically get the secure HTTPS version of sites or need the classic Web Developer Toolbar, you’re sure to find something you can’t live without! Get going and visit Opera’s extension catalog today.